Like many organizations, The Cupcake Girls is a machine with various intricate parts working together to achieve a common goal. It’s not just comprised of volunteers working directly with clients. There are other individuals working behind the scenes to bake cupcakes, assemble gifts, connect with donors, research community resources, coordinate volunteer orientations, and many other things. Each piece of the puzzle is essential, no matter how small the role, and our team is continually striving to create an efficient system that effectively serves the adult entertainment community. After sitting on these broad questions for a couple of weeks, the answer became clear: to further The Cupcake Girls we must begin with our volunteers. These individuals are, after all, the lifeblood of this organization, and without them CCG would gradually come to a halt. When working for a young non-profit there are endless tasks that must be addressed, and it’s normal to get caught up in our own lengthy to-do lists. With all of these distractions we sometimes lose sight of how invaluable our volunteer base is to CCG. Any individual willing to donate his or her free time to this organization is remarkable. Each of us has a life outside of The Cupcake Girls, and while balancing work, family, friends and/or hobbies there are generous people who make time to volunteer. We are forever grateful to these men and women and with their help we can accomplish a great deal. The Operations Team is currently working on a couple of projects to help get more volunteers involved with the Portland team. There is an incredible amount of work to be done and we can use any assistance volunteers are willing to provide. Stay tuned for these projects to unfold! If you’re a current volunteer for The Cupcake Girls Portland and are looking to become more involved please contact your team director. Or If you’re a volunteer not currently assigned to a team who would like additional tasks please send us a message at pdxinfo@thecupcakegirls.org. We provide opportunities to connect with current directors and chiefs on Mondays and Wednesdays. If you’re not already a volunteer and you’d like to attend an orientation and learn more about becoming a Cupcake Girls volunteer please use that same e-mail. We’re always looking for passionate individuals with a drive to support others. To all our current, past, and future volunteers: thank you from the bottom of our hearts. Every hour you dedicate, and every project you help complete is invaluable to this organization. This work truly takes a village, and we are exceptionally grateful for ours. 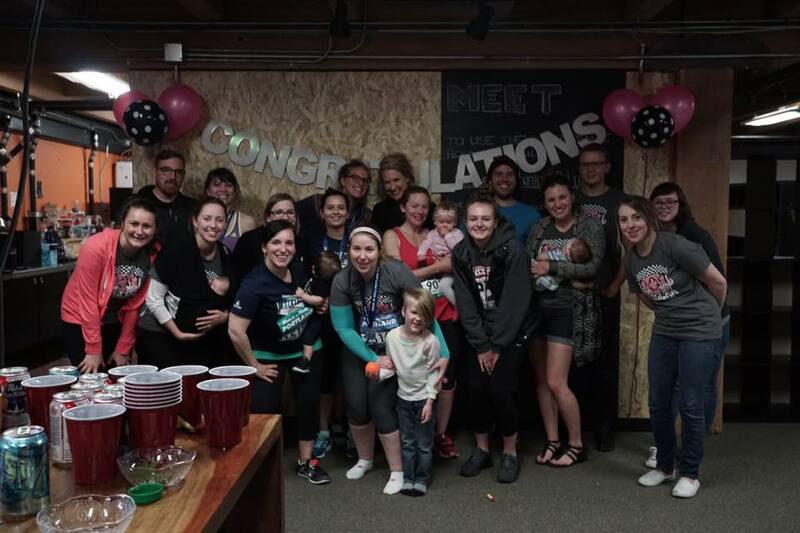 Some of our Portland volunteers and their families at our Sweet Run 2015 brunch.